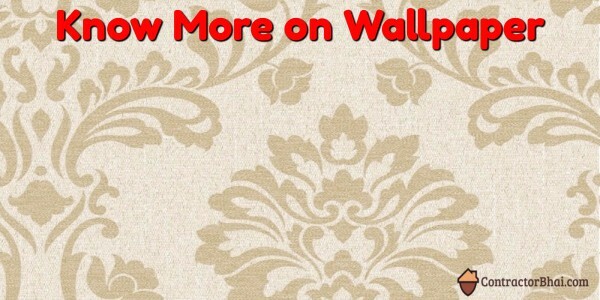 Wallpapers is one of the easiest and most inexpensive option used to cover and decorate the interior walls of homes, offices, and other buildings these days. They are one aspect of interior decoration. Wallpapers are usually sold in rolls and is put onto a wall using wallpaper adhesive. Wallpaper is used not only to add colour, but is also used to add art and design to your living rooms or bedrooms. With a variety of colours, textures and patters, wallpapers adds depth, dimension and style to your rooms. Many a times Wallpapers are used to make small rooms look larger. They also are used to hide various other defects in the design of the room. Like , too high ceilings can be made to look lower by using wallpaper. It is 10 years back that wallpapers used to thin and not very durable. Times have change and so the technology. Yes, the imported quality wallpapers are still to come In India, but we do have wallpapers of different types like Viny coated & non-wovens which are much thicker n better in quality. These wallpapers are not only water resistant but also stain resistant. If you see the wallpaper to be peeling out or something, it can easily to repaired or re-installed easily. There are various designs and types of wallpaper you get to choose from. Like, you have plain wallpapers called ” lining paper” which can be painted, Textured paper also called as ” Anaglypta” with repeating pattern. And much commonly used today, as single non-repeating large design which is carried over a set of sheets. is it possible to see various designs of wall papers that can be offered. You are only selling the wall papers or do you have people who can execute the work in the house. . Of all the various types, which material is the best. how long will different type of material last?